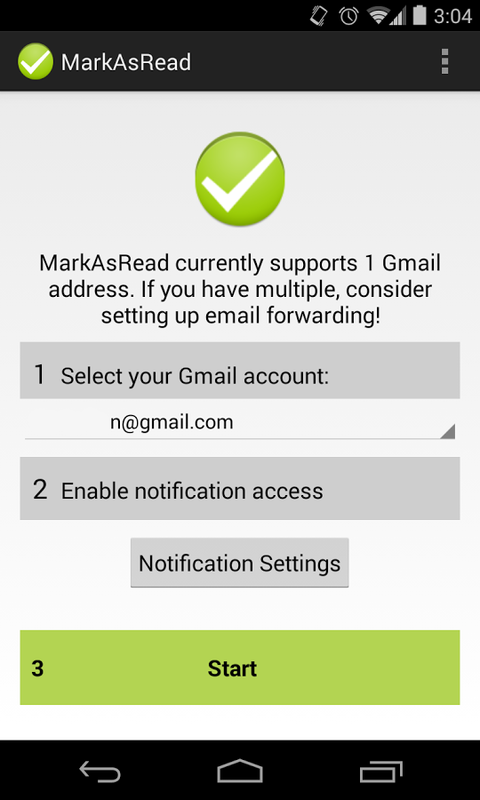 MarkAsRead for Gmail is a quintessential Android app. It does just one thing, and before you go hunting for an app description to figure it out, try giving its name another read. 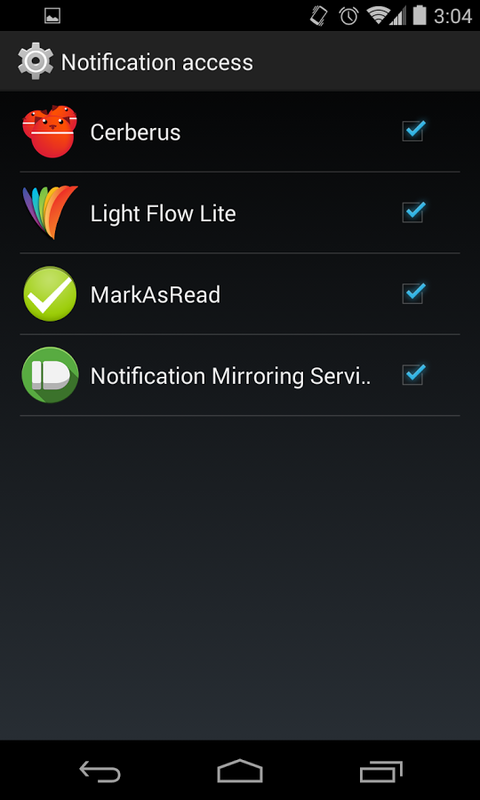 That's right, MarkAsRead for Gmail... lets you mark Gmail messages as read straight from the notification. In between the usual archive and reply buttons that Google provides out of the box, this app sneaks in that ever-so-useful (mark as) read option. MarkAsRead for Gmail does its job by hijacking the Gmail notification, dismissing it, and creating a lookalike with the button to mark an email as read added. That's pretty much it. The app goes for $1.31, and you can get it via the widget at the end of this post. Now for some qualifications. 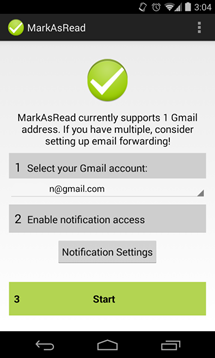 MarkAsRead for Gmail comes with a few permissions, including the ability to read your network state. 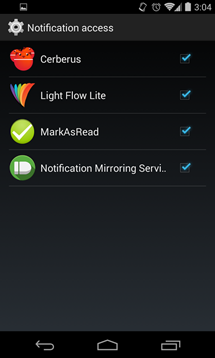 It requires notification access and is, as the warning-we-all-ignore says, capable of reading their contents. 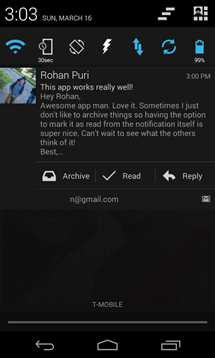 It doesn't gain email credentials, but it is able to see each message that comes in. That requires a deal of trust on your part, but the developer, Rohan Puri, works at the MIT Media Lab and comes off as someone who isn't likely to steal emails. 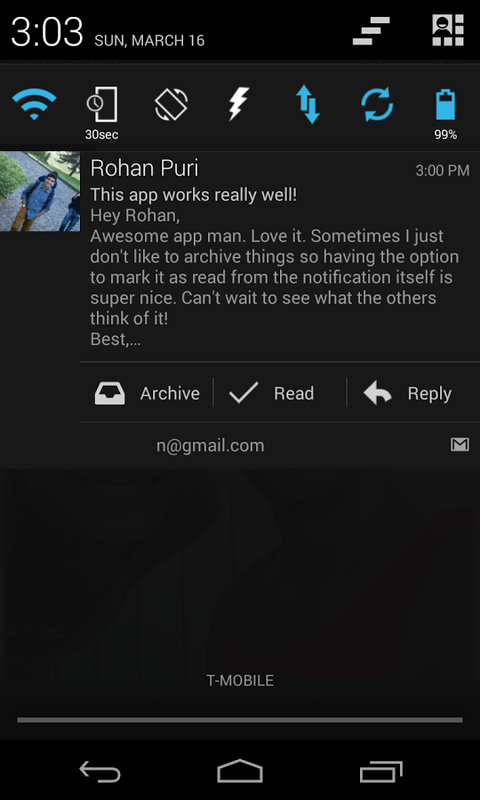 That's it for now, but there's potential for future updates to add support for more than one Gmail account. 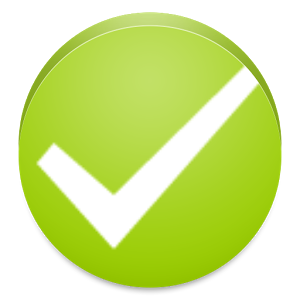 We'll notify you if something happens, but that will be a message you have to actually be sure to read.